Let me paint a picture for you. Imagine you’re a top rated pro driver in the Formula Drift Championship and you’re holding the keys to a Nissan Silva S14. 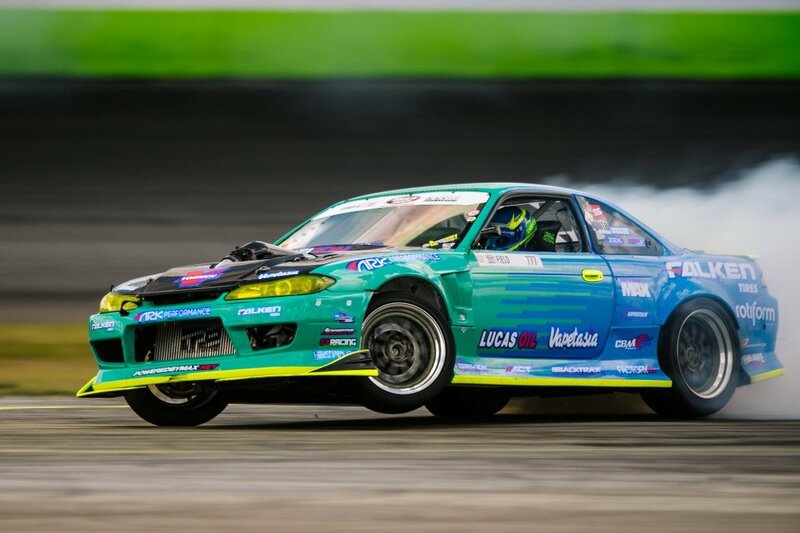 Not just any Silva though, one that happens to be a heavily modified top tier drift car with a supercharged LS V8 producing 1,060hp to the wheels. And there’s only one problem with this epic machine, it has too much tread on the rear tires. What do you do? There’s only one thing you can do. Find an open road and put on an epic tire slaying smoke show. It might be a fantasy for most of us, but it’s just another day at the office for Matt Field. I give you “Field Day,” by Heat Wave Visual. Matt Field is a lifelong moto enthusiast that’s talented enough to land himself a job working behind the wheel as a racing driver. He has raced in numerous different disciplines including off-road desert racing and quarter midget road racing. However, his true passion is being one of the many drivers that compete in the Formula Drift Championship series. During the 2016 season, he finished a very respectable second place overall in World Championship and fifth in the U.S. Championship. His tire-slaying weapon of choice happens to be the heavily modified Nissan Silva S14 I spoke of earlier. Nissan purists may scoff at the fact that the KA24 engine is long gone, but a 427ci LSX V8 built by CBM Motorsports that also has a Vortech YSI supercharger attached to it has got to be a good consolation prize right? This monster motor is so massive that Field’s team had to cut a hole in the lightweight carbon fiber hood just so the hood would close properly. Since it’s a monster motor, that means monster power and with an estimated 1,060hp and 990lb-ft of torque sent to the rear wheels, there is more than enough tire killing capabilities with this old JDM legend. Heat Wave Visual specializes in custom made sunglasses and other visual accessories. But they also have a deep seeded passion for anything motorsports, a company after our own heart. They helped Blake Wilkey and the rest of the Shreddy crew make their dreams become a reality with the Country Club Assault video where Wilkey and his badass buggy and a Pro 2 race truck were unleashed on an abandoned golf course. So when I came across Heat Wave’s latest video called “Field Day,” I knew we were in for some next level badassery. And let’s just say they did not disappoint. Field Day is about as pure and raw as you can get in a badass video displaying epic car control and sideways sliding action. There’s no background music, no frills, no nonsense. Just the sweet sounds of a high strung V8 bouncing off the rev-limiter and the high pitch screech of a set of rear tires being brutally murdered, just the way we like it.